We have a new Subscriber Exclusive Freebie for you! 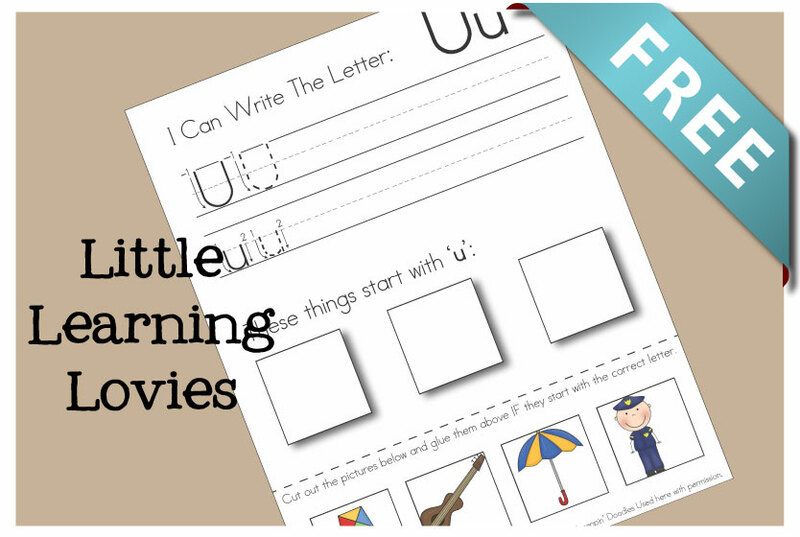 It’s time to start letter U with our Letter U: Write, Cut & Paste worksheet. You can find all the goodies for previous letters here, if you missed them. If you want them all now (and you want to support LLL! ), you can go ahead and buy the pack of them for immediate download here! 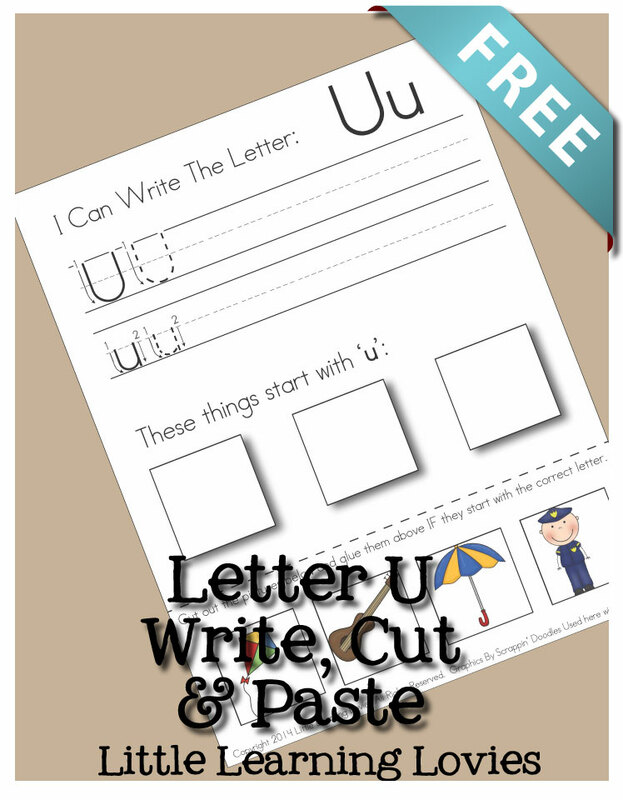 Please click to the next page to download this FREE Letter U Write, Cut And Paste Activity! When will letters V, W, X, Y and Z Cut and Paste be posted? Or have I somehow missed them.